Well done to Writhlington Village Hall for finding a solution to the increasingly worrying parking issue around St Mary's Primary School which was causing a lot of risk to the children as they were dropped off / collected. 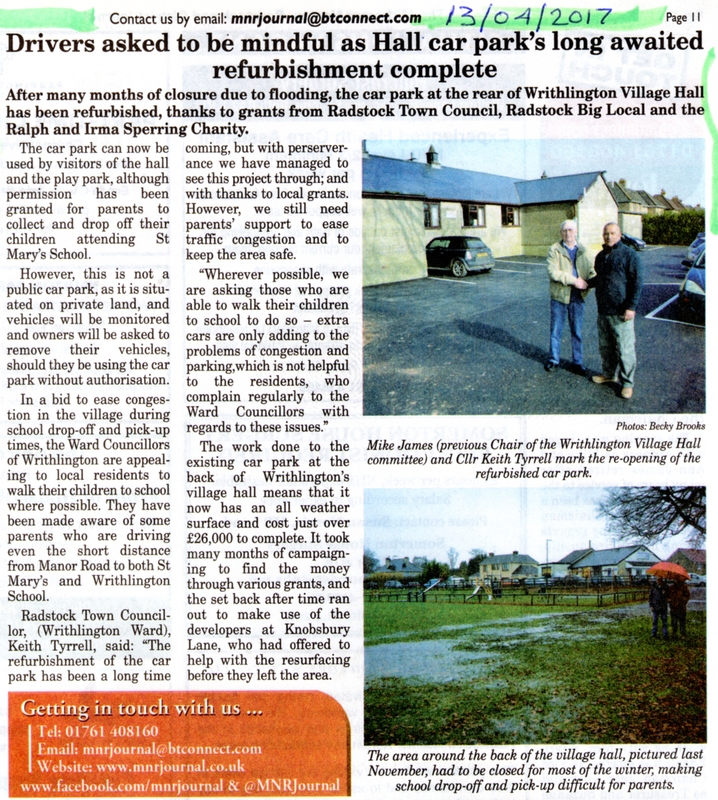 The village hall wanted to open it's car park to the parents but it needed a proper durable surface put down first - so working with Radstock & Westfield Big Local, Radstock Town Council and The Ralph and Irma Sperring Charity, they raised the funds to this happen. This entry was posted in Big Fund, Mobility, Place. Bookmark the permalink.